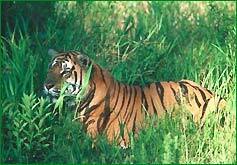 Jaldapara Wild Life Sanctuary : Jaldapara is the largest wildlife sanctuary in Dooars with an area of approx 217 sq.kms. it is located at Alipurduar subdivision in Jalpaiguri District. Jaldapara is covered mostly with tall grasses & a wide variety of green vegetation, which makes Jaldapara a heaven for many endangered spices. River Torsha flows through the sanctuary. Malangi is also an important river flows near by. 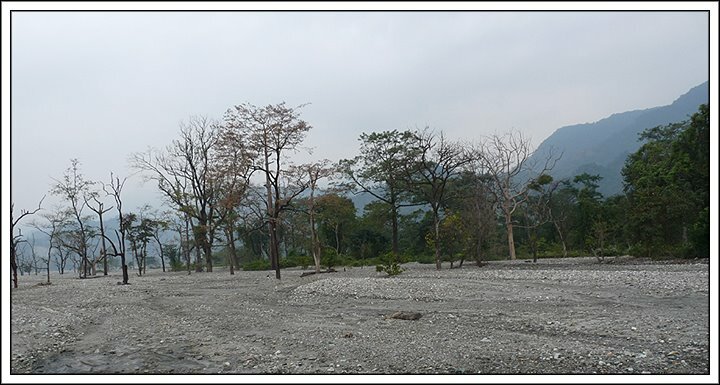 Flora and fauna of Jaldapara: Jaldapara is a home to almost 240 species of birds, 20 species of mammals and various species of reptiles and fishes. Jaldapara in Dooars is specially known for preservation of one horn rhinos. It has the highest population of rhinos after Kaziranga in Assam. The other important animals are Asiatic elephant, leopard, deer (hog deer, spoted deer, barking deer), shanbar & bisons (Indian Gour). An elephant safari in Jaldapara can provide you an opportunity to have a closer view of all these animals. Chilapata: On the way to Coochbegar, Chilapata is just a few kilometers away from Jaldapara. 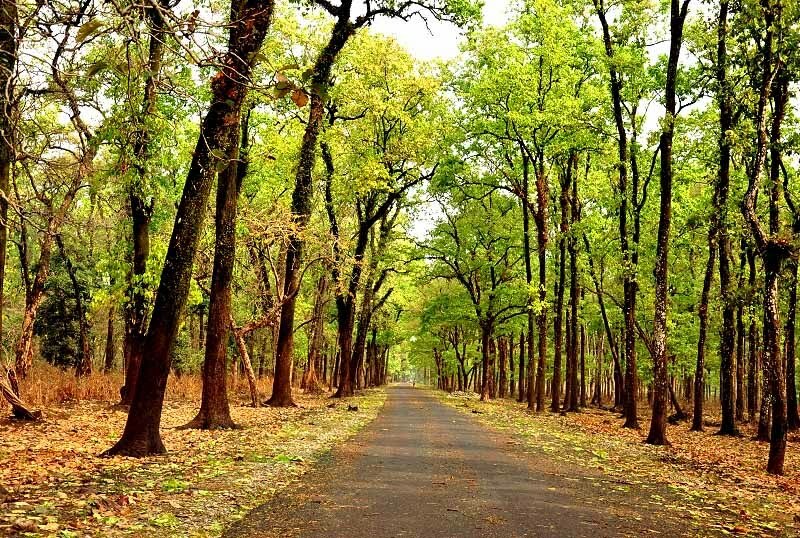 The dense forest & its habitants have made Chilapata an important tourist spot in Dooars . Chilapata is home to many animals including Rhino, Bison & various types of birds. You can include Chilapata for a half day tour from Jaldapara. Khayer Bari (Animal rescue centre) : South khayerbari is an animal rescue centre of Dooars situated just 15km. away form Jaldapara. A no of Royal Bengal Tigers & leopards has been brought to the centre after the ban of these animals in various circuses. Here the visitors get an opportunity to have a closer view of these animals from. Gorumara National Park: Gorumara is an important national park in Dooars. It has been given the status of a national park in 1992. It is an important biosphere reserve in Doors, situated on the bank of Murti & Raidak. Flora and fauna of Gorumara: SSal is the most valuable tree of Gorumara. Other than that Siris, teak & simul are also found. Gorumara is famous for one horn Indian Rhino. Asiatic elephant, gaur, Leopard, deer, sambar, King cobra, pythin are also fond in Gorumara. It is also a paradise for the bird watchers. Chapramari: Chapramari is reserve forest with an area of only 10 sq.km. But it has a wide variety of wild animals. These include Asiatic elephant, gaur (Indian bison), leopard, hornbill etc. Chapramari is just beside Gorumara N.P. & only a few kms from Lataguri interpretation centre. Jhalong & Bindu Tour: Jhalong is a small village in Dooars located beside Jaldhaka River. It is also known for the Jaldhaka Hydral project. 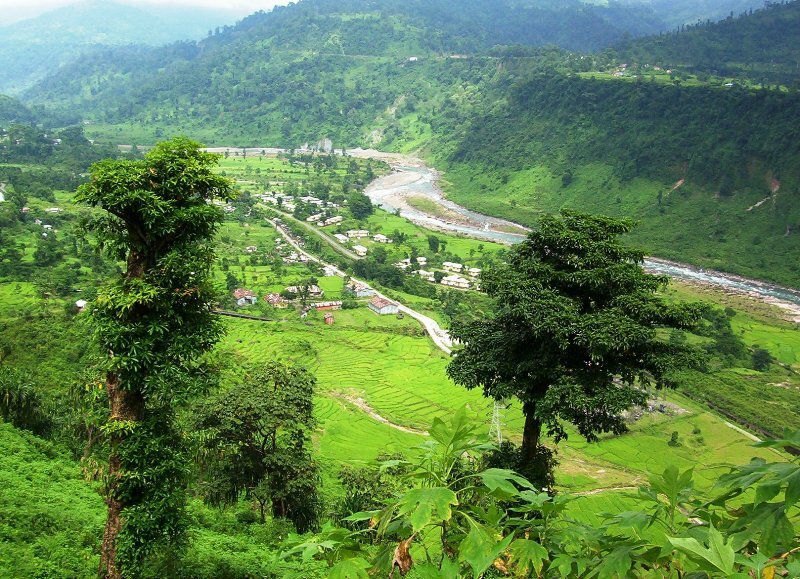 Jhalong is popularly known for its beautiful valleys & the river flown through it. Bindu is another small village of Dooars at Indo Bhutan border. Jaldhaka river also flows through Bindu and is considered as a natural border between India & Bhutan. 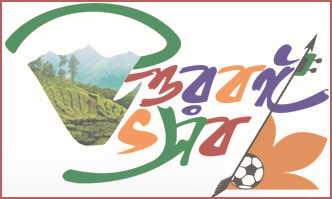 Samsing- Suntalekhola Tour: Samsing & Suntalekhola are two beautiful places in Dooars situated just 35-40 km away from Chalsa. It can be covered staying Lataguri (Gorumara N.P.). Jayanti & Buxa Tiger Reserve: At the eastern most end of Dooars valley there is Buxa Tiger Reserve the second largest tiger reserve in West Bengal. It is having an area of 350 sq.kms. with a core area of about 330 sq.kms. within this 315 sq.kms. is a sanctuary out of which about 115 sq.kms. area has been declared as national park.